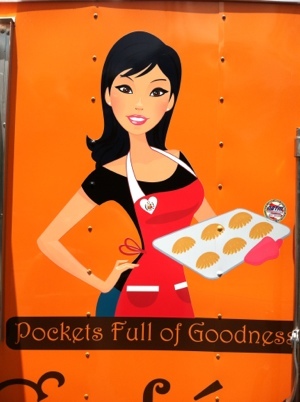 Try The Turnover Truck!! – Butter, Baking, and Bacon! I love alliteration (can you tell?). Anyway. Saturday mornings in Tallahassee, FL are home to the Downtown Marketplace, a comfy conglomerate of farm fresh produce, unique finds in apparel and jewelry, music, sweet treats, and much more! But today I was so excited to see a new food truck! All I saw was the word Turnovers and I beelined toward the bright orange truck! The smells were intoxicating! I’ve never tried Peruvian food, but I’m glad that I did. My hubby and I head to the window and chat with the owners! Friendly they were and very helpful in helping decided what to try! 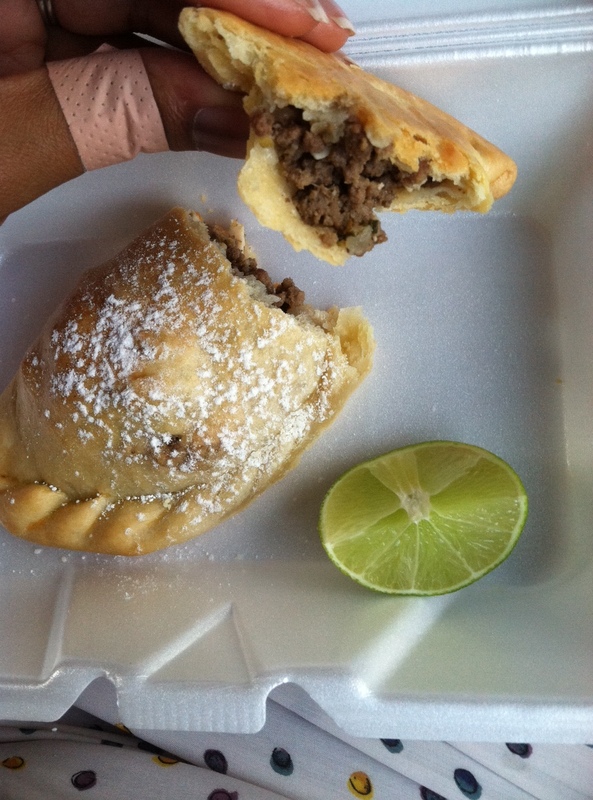 I settled on the beef empanada! It was GENEROUSLY filled with ground beef, chopped olives, egg, and I believe raisin or currant. The crust was pleasantly flaky and just right with the perfect touch of an egg wash and a sprinkling of powdered sugar. Trust me, the sugar is a perfect complement to the whole empanada. 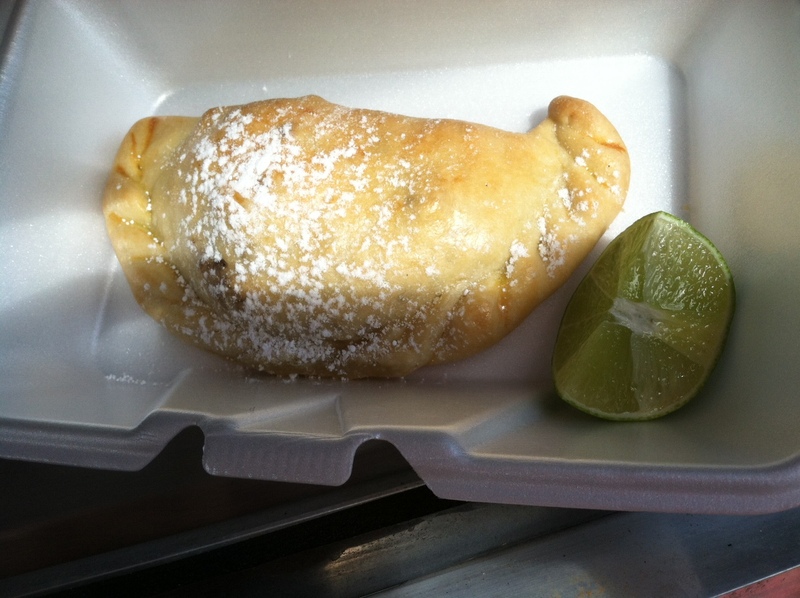 Next to the hand pie is a slice of lime–the tangy acidity of the slice adds a nice ZING! to the whole meal. Check them out at http://www.theturnovercafe.com/wordpress so you can see where they’ll be next! Previous Post Great Golly Gumbo! Next Post Your Very Own Bread Pudding!